Colors of the Garage D..
Windows of the Garage ..
XJ Gate and Door Co.,Ltd. XJ Group Corporation was established in 1970. 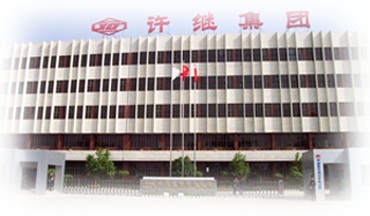 The head office is located in Xuchang, Henan Province, China. It boasts more than 10000 employees. It is a professional enterprise and a leading manufacturer and exporter of electric power products(relay protection device, relays, power transformer,switchgears, GIS), DC Power Supply, energy meters (smart watt-hour meters and automatic meter-reading system), PV Combiner Box and Power line carriers,parking systems and turntables, gate and garage door system, etc with the reliable quality and competitive price. Our products have been exported to Norway, Sweden, South Africa, Poland, South Korea, Japan, Britain, France, Netherlands, Germany, Hungary, Turkey, Cyprus, Croatia, Spain, Finland, Italy, Israel, Lebanon, U.A.E, etc. We are looking for professional companies worldwide with experience in providing our products. If your company is interested in becoming a dealer or distributor of our products, please contact us. We are looking for the agents worldwide. If you are one, please contact us.. Web Design|Copyright©XJ Group Corporation 2009－2013|All rights reserved.